Translation: Rev. John Mason Neale, D.D., Hymns of the Eastern Church (1862), alt. 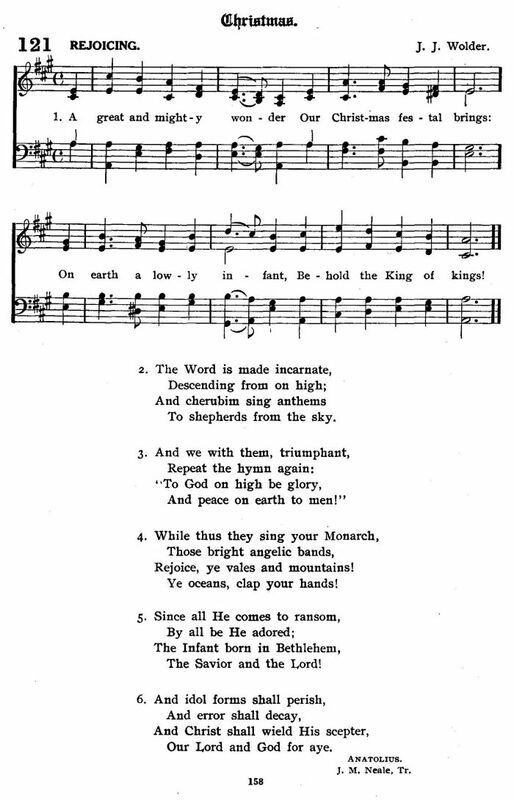 Source: O. Hardwig, ed., The Wartburg Hymnal (Chicago: Wartburg Publishing House, 1918), #121. The Concordia Hymnal gives the following attribution: "St. Germanus, 634-734, translated to English by Joseph M. Neale, 1862." The Service Book and Hymnal of the Lutheran Church of America (1958) gives the following attribution: "St. Germanus, cir. 634-734, Tr., John Mason Neale, 1818-66, a." 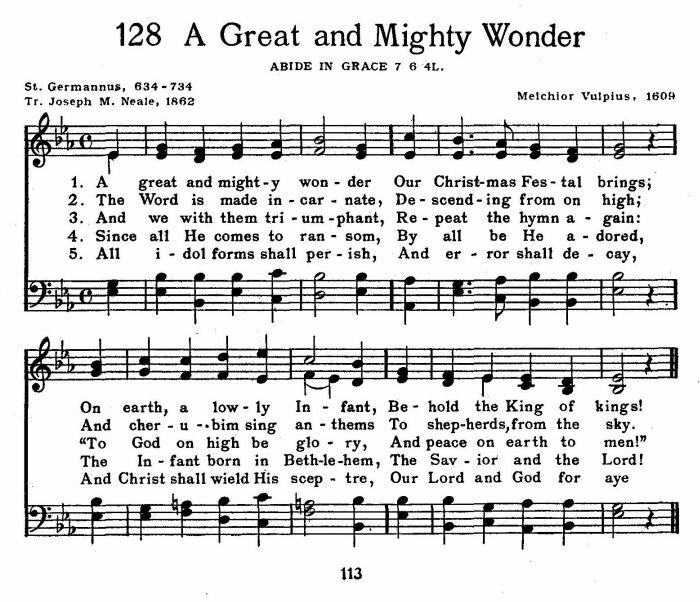 The Lutheran Hymnal (1941) cites "St. Germanus, 734, Tr., John M. Neale, 1862, ab." The Hymnal of the Protestant Episcopal Church (1940) gives "St. Germanus, 634-734; … after J. M. Neale." 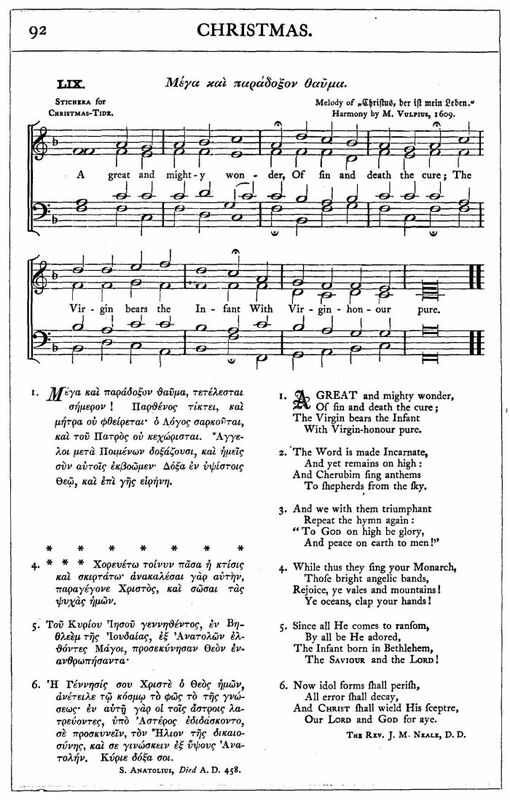 Sheet Music from J. H. Hopkins, ed., Great Hymns of the Church Compiled by the Late Right Reverend John Freeman Young (New York: James Pott & Company, 1887), #59, p. 92.